Wind works. That's the overarching message -- and the Twitter hashtag -- at the American Wind Energy Association's annual Windpower conference and exhibition this week in Anaheim, California. Kiernan acknowledged predictions of a market downturn in the 2020 timeframe, and laid out a multi-step plan to “prove our critics wrong.” The plan (detailed here) includes leveraging big data to boost productivity, cut costs and reduce downtime. It includes protecting the PTC in the near term and advocating for strong state-level policies. 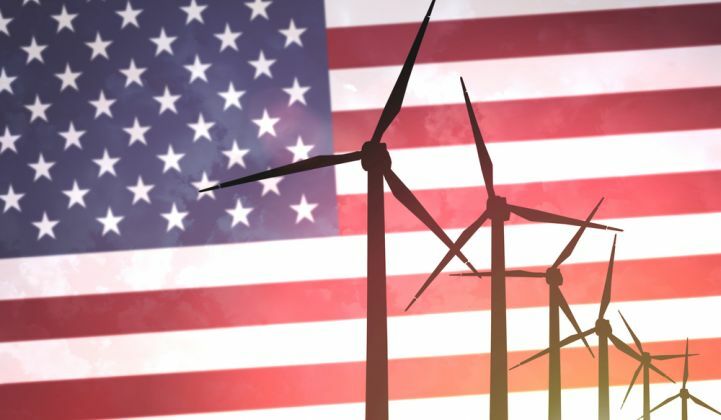 It includes building new transmission projects and working with the Department of Interior on regulatory reform in order to speed up the wind permitting process -- an issue that plagued the industry during President Obama’s term. This is the strategy underpinning the “wind works” theme being touted at this week’s conference. While companies are busy bidding on, building and financing projects before the PTC window closes, the industry also needs to find ways to capitalize on all of the benefits wind provides going forward. “Now is the time to embrace and channel all forms of support that can help us forge the policies and regulation that are needed for new revenue streams to continue to help wind to thrive,” Grimbert said. “A brand-new attitude is that wind works for America, for all Americans."